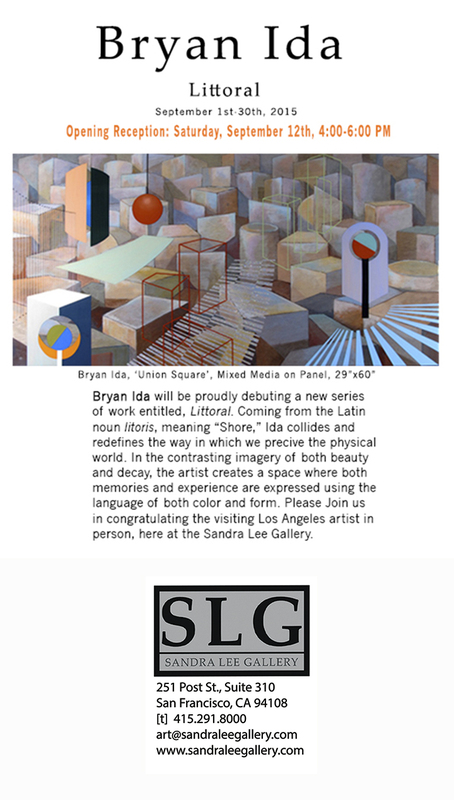 I am very proud to show some new work in my “Littoral” series at Sandra Lee Gallery in San Francisco’s Union Square. It will feature work using a new technique I developed that involves acrylic and enamel paint layered in approximately 200 layers of thin clear glaze. The builds are amazing and the final finish is like nothing else. This entry was posted on August 21, 2015 by bryanida. It was filed under Uncategorized . Huge congratulations Brian! I so, so wish I could be here for the openng, but I’ll be high up on Mont Blanc! Definitely I’ll see it when I return. Your new work looks amazing.